We recommend checking out our discussion threads on the Middle Atlantic SSAX-28 In-Wall 28U AXS System SSAX-28, which address similar problems with connecting and setting up Rack Furniture Middle Atlantic. The user manual for the Middle Atlantic SSAX-28 In-Wall 28U AXS System SSAX-28 provides necessary instructions for the proper use of the product Pro Audio - Furniture & Racks - Rack Furniture. Middle Atlantic's In-Wall 28U AXS System with 25" Extension and 16" Depth is the ultimate full-service electronic device manager rack, because it allows convenient pull-out access to your equipment. This SSAX model features 28U (49-inches high) of rack space and extends 25 inches for rack wall. The SSAX series touts 16 to 10-AWG gauge steel that supports up to 650 lbs--much higher than average rack systems. It is constructed with a detachable rack frame for off-site equipment integration, yet has all of the in-house characteristics that make it invaluable: smooth glide ball bearings, articulating cable carriers, pre-marked standard rack holes, and the option of 3"H to 40"H rack installation (requires removable stand for elevated setup). For all-tech perfection, install this rack system into any modular wall and tuck it out of sight. If you own a Middle Atlantic rack furniture and have a user manual in electronic form, you can upload it to this website using the link on the right side of the screen. The user manual for the Middle Atlantic SSAX-28 In-Wall 28U AXS System SSAX-28 can be downloaded in .pdf format if it did not come with your new rack furniture, although the seller is required to supply one. It is also quite common that customers throw out the user manual with the box, or put the CD away somewhere and then can’t find it. That’s why we and other Middle Atlantic users keep a unique electronic library for Middle Atlantic rack furnitures, where you can use our link to download the user manual for the Middle Atlantic SSAX-28 In-Wall 28U AXS System SSAX-28. 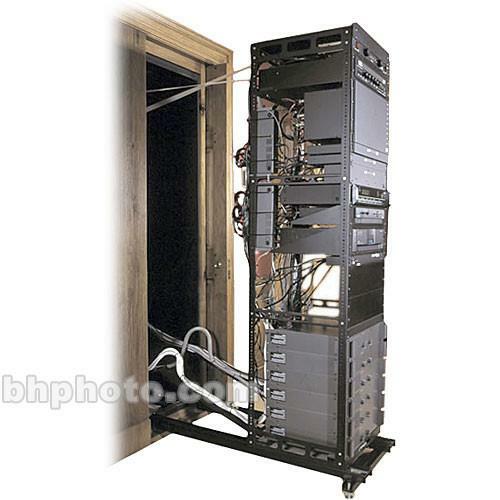 The user manual lists all of the functions of the Middle Atlantic SSAX-28 In-Wall 28U AXS System SSAX-28, all the basic and advanced features and tells you how to use the rack furniture. The manual also provides troubleshooting for common problems. Even greater detail is provided by the service manual, which is not typically shipped with the product, but which can often be downloaded from Middle Atlantic service. If you want to help expand our database, you can upload a link to this website to download a user manual or service manual, ideally in .pdf format. These pages are created by you – users of the Middle Atlantic SSAX-28 In-Wall 28U AXS System SSAX-28. User manuals are also available on the Middle Atlantic website under Pro Audio - Furniture & Racks - Rack Furniture.